I was going to start off this blog post by saying that I can’t count how many times I’ve actually been to Beamish Museum, it’s been that many. But the fact of the matter is that I can remember! From my first visit in Year 3, to taking my university housemates there last year, I can remember each and every time I’ve visited the Living Museum of the North. Personally I’ve always loved learning about history, but Beamish is a place that can be enjoyed by people of all ages and many different interests. If you haven’t been to this magical museum in County Durham, now is your chance! 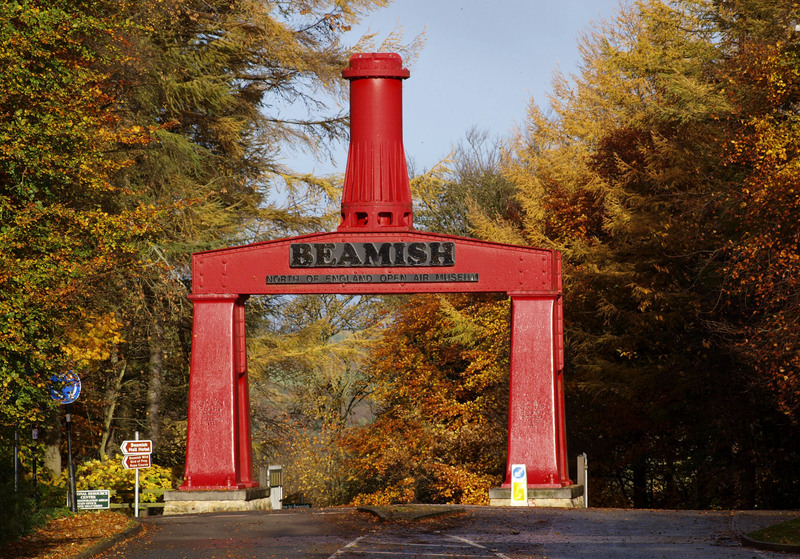 For those of you that don’t know very much about Beamish, it is a large site split up into different historical periods. It starts off with a reconstruction of an 1820s village called Pockerley, complete with a Georgian Hall, gardens, church and wagonway! Jump on the Beamish tramway from here and make your way to the 1900s Pit Village, where you will find Davy’s Fried Fish, a reconstructed school where you can try your hand at playing with a ‘booler’ (grandparents love telling stories about playing with these in the playground when they were younger) amongst other features of a typical pit village. I’d highly recommend sticking on a hard hat and going on the tour of the mines – I never grow tired of hearing about what miners went through on a daily basis and actually seeing the conditions they worked in. After exploring the colliery and learning about the North East’s contribution to the development of locomotives, it’s probably time to get the tram to the 1900s town, which is my absolute favourite part of any visit to Beamish! There is so, so much to see in the 1900s town and I’d recommend spending a good chunk of your visit here – for me, it’s the most magical part of the Beamish experience and the work that has gone into reconstructing the town never ceases to amaze me. I’m certainly not the only person who thinks so highly of it because parts of the 1900s town, including the Motor Shop and Garage, have featured on programmes such as Downton Abbey! It really is the best immersive, historical experience. From discovering how our grandparents and great-grandparents used to use shop credit at the Co-Op, to trying some of the Edwardian baked goods in the bakery, from admiring the grandeur of the Bank and Masonic Hall, to watching demonstrations of fairly gruesome dental practices at the Dentist’s House on Ravensworth Terrace, the 1900s town is a feast for the imagination. And that’s not even half of the things to see and do there! After a great deal of sight-seeing and some fun at the 19th century fairground, there is no doubt that the smell of freshly-made cinder toffee from the Jubilee Sweet Shop will entice you in. If you want something more substantial than delicious strawberry bon bons, cinder toffee and chocolate raisins for your lunch, the 1900s Tea Rooms serve quintessentially British light lunches. Hot roast beef stotties, baked potatoes and steaming hot bowls of soup all feature on the menu, along with sandwiches and cold options. If you fancy something a bit stronger than a cup of tea, across the street from the Tea Rooms lies the Sun Inn. Speaking of sun, on many occasions I’ve taken a picnic lunch with me to Beamish and sat by the majestic bandstand on the lawn. After all, Beamish is a reconstructed town so there are many options for you to choose from! To finish your visit, hop back on the tram and head to the 1940s farm where you can interact with people in period costume at the cosy farmhouse and labourers’ cottages, where you will find out all about how people coped in wartime Britain with a ‘make do and mend’ attitude. Make sure to try some of the scones and other baked goods fresh from the farmhouse Aga – they’re delicious and I believe the wartime recipes for them are available too. On a practical note, getting to Beamish is relatively easy. If you don’t have a car, then there is a bus that takes you straight from Chester-Le-Street town centre to the entrance of the museum. Adult tickets cost £19, child tickets cost £11 and there are also Family, Student and Senior Citizen tickets available too. One of the great things about Beamish is that once you’ve bought a ticket, you can return as many times as you like in that year for free! This really is fantastic because there are new exhibitions, events and projects springing up all the time at the museum. Why not visit in summer then return in December to see Father Christmas? I’ve said it before and I’ll say it again, Beamish is a truly magical place. Many museums advertise that they provide something for everyone, but I don’t think there are many places that can say that as much as Beamish. Adults and children alike take in their surroundings with wonder and enjoy slipping into someone else’s shoes for a day, whether that be the owners of Pockerley Hall, or the miners of the Pit Village. I’ve taken so many people there, from grandparents to fellow students, and they’ve come away loving Beamish Museum as much as I do (almost). Pro(s): What’s not to love? Beamish has achieved everything it set out to do and more. Con(s): The only thing I would say is that the site is quite spread out, so that is something to bear in mind if you are a wheelchair user or if it’s a rainy day. Don’t forget an umbrella!